This great 8x10 from inside Jabba's court has been signed by Gerald Home who played accountant Tessek in the Return of the Jedi. 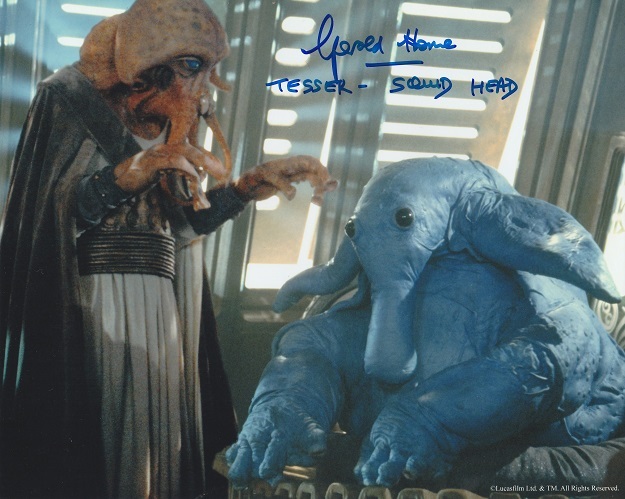 Also shown in the image is Max Rebo. 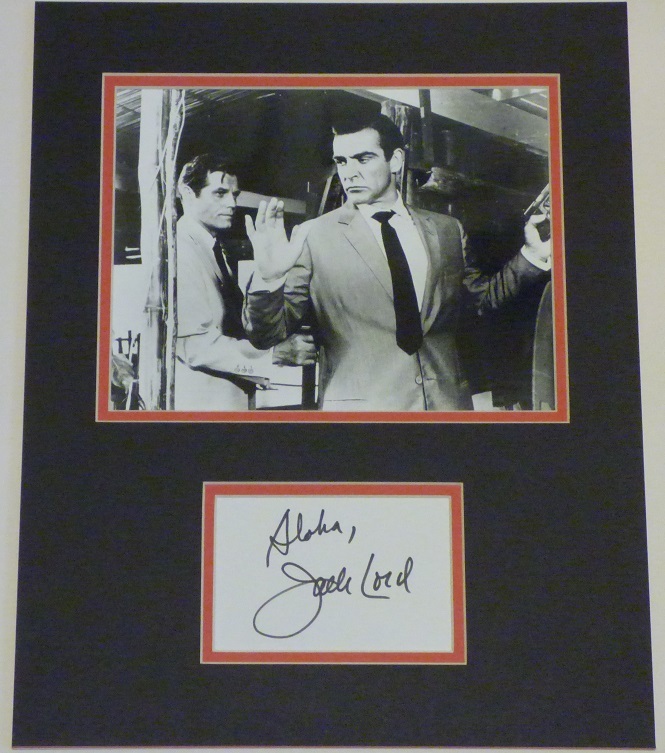 Gerald signed this item as part of a private signing in 2017. Tessek was a Quarren male from the water planet of Mon Calamari. He once had ties with Republic politics, but when the Galactic Empire invaded his home planet, he fled and became a member of Jabba Desilijic Tiure's court. While serving as the Hutt's accountant, Tessek planned to kill his master by planting a bomb on his sail barge. Tessek managed to survive the Battle of the Great Pit of Carkoon after escaping on a speeder bike—however, when he returned to Jabba's Palace, his brain was forcibly removed from his body by the B'omarr Monks. ​We are proud to comply with the UACC Code of Ethics. Don't forget to read the about us section of this website to learn more about us and the pedigree of our items.